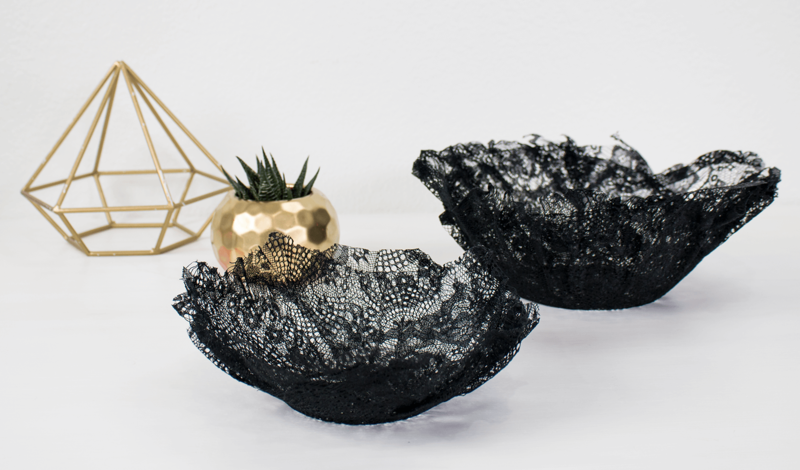 Lace goes chic with these easy DIY lacy fabric bowls. Fill with candy and other baubles or hang them on the wall for a statement decor piece. 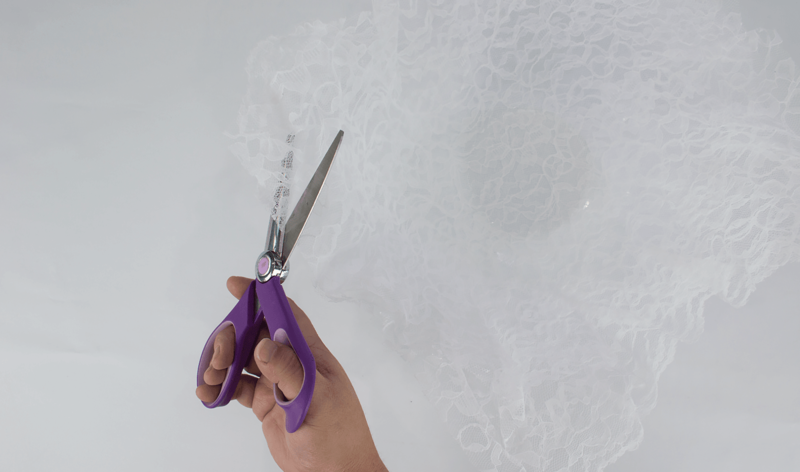 Cut the lace to sit over the back of a bowl. 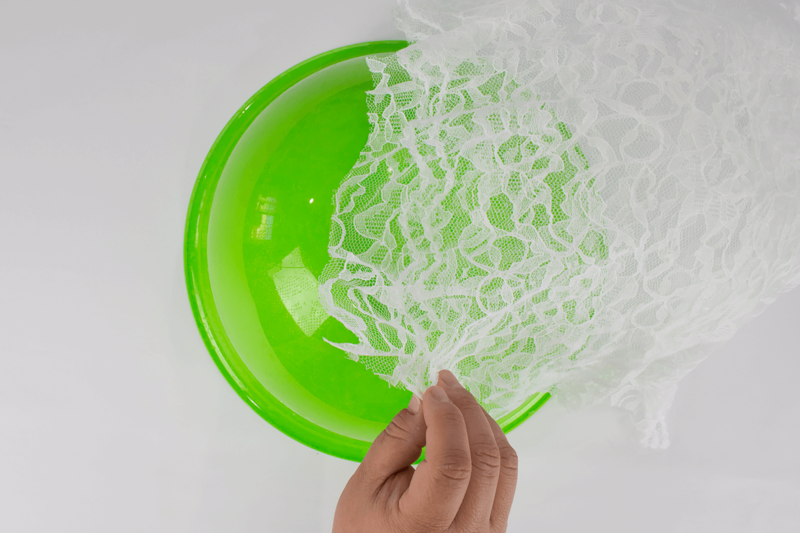 Check to make sure the lace fits over the bottom of the bowl. 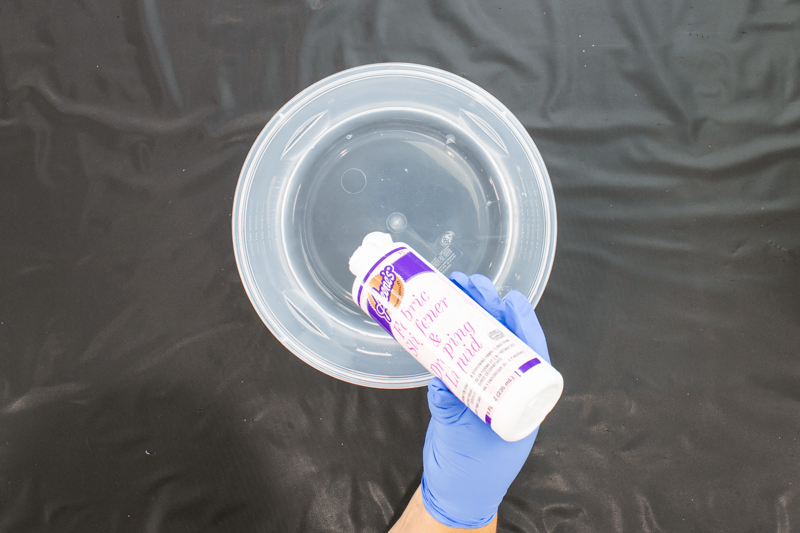 Add Aleene's Fabric Stiffener and Draping Liquid to equal parts water in a disposable bowl. 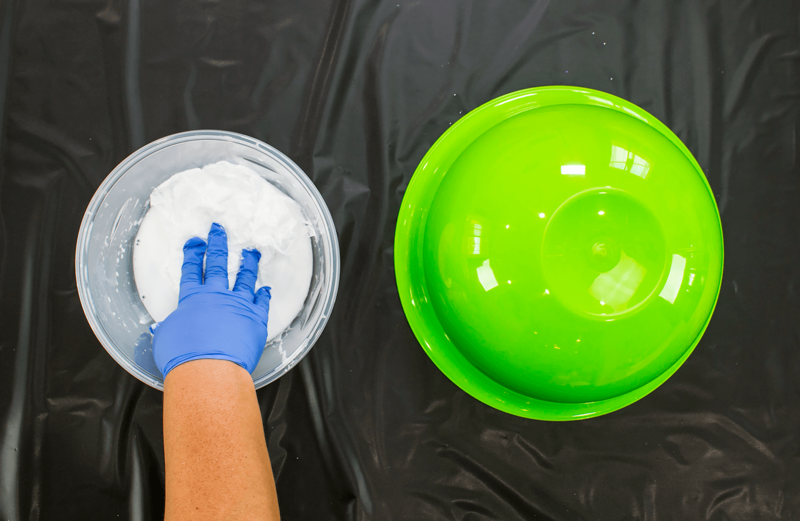 Put on gloves before using the Fabric Stiffener to make clean up easier. 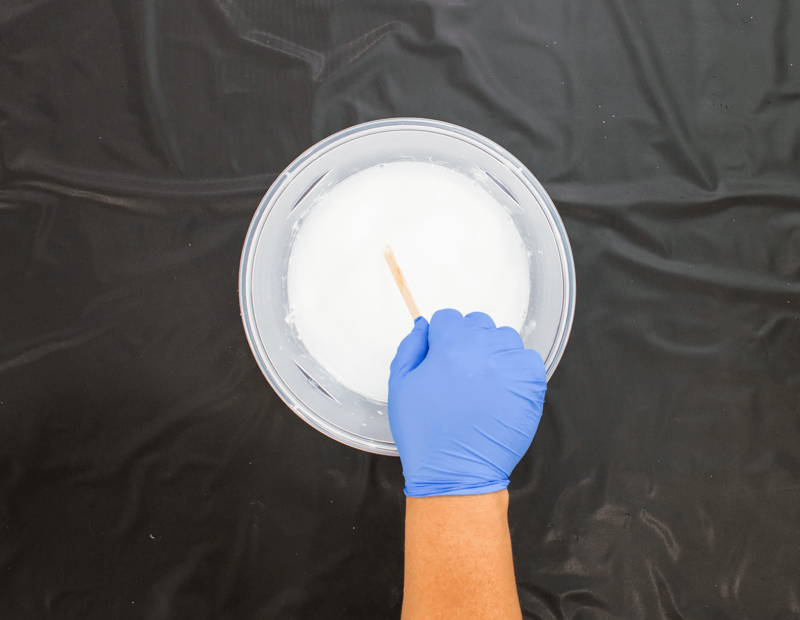 Mix the Aleene's Fabric Stiffener and Draping Liquid and water well, using a wood craft stick to stir. 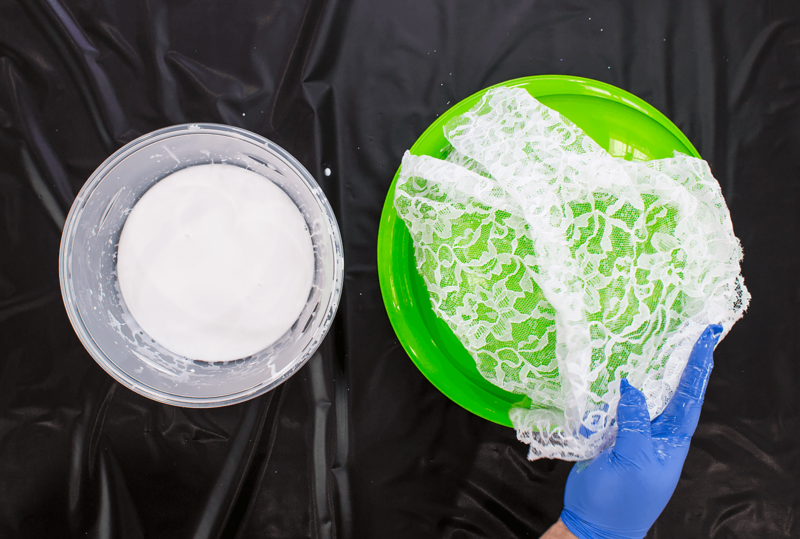 Saturate the lace in the Aleene's Fabric Stiffener and Draping Liquid and water mixture. Drape the lace over the bottom of the bowl. 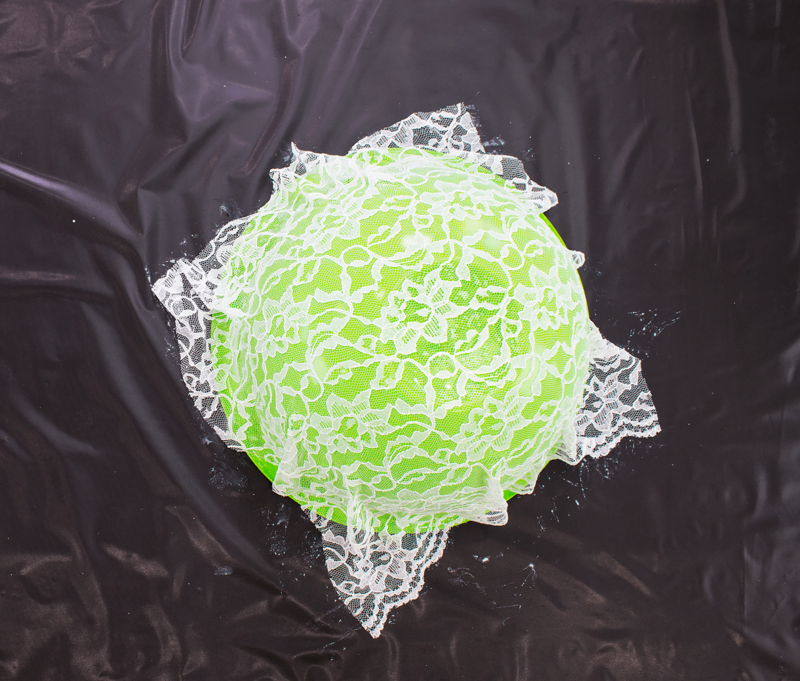 Use two layers of lace to create a stronger lace bowl. 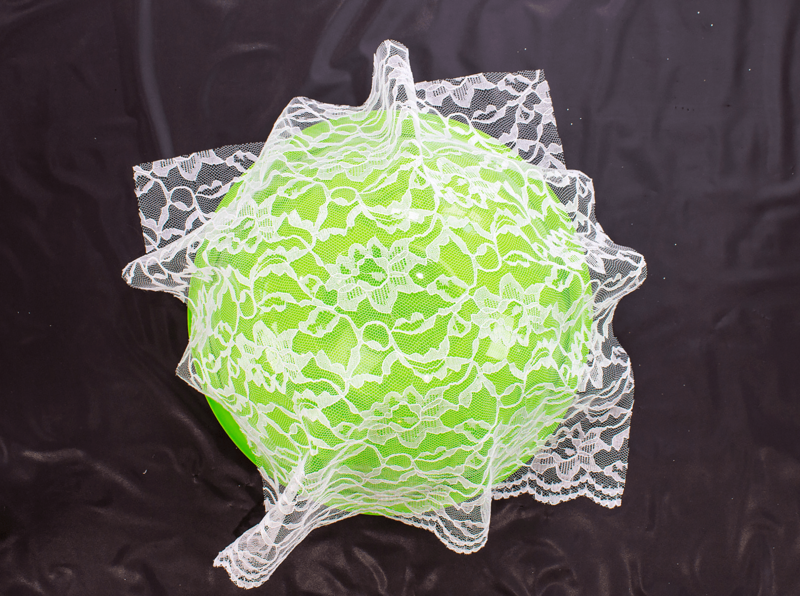 Fan out the corners of the lace so they lay flat on the table. Allow to dry completely. 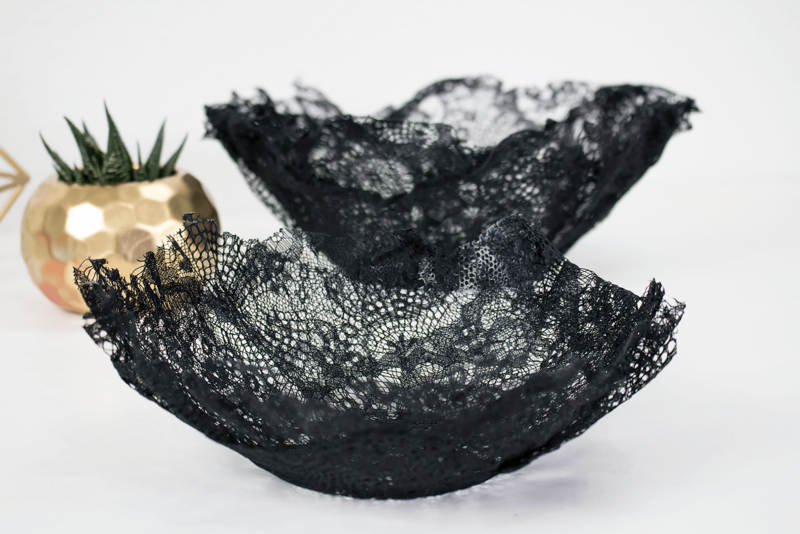 Pop the dry lace bowl away from the plastic bowl. 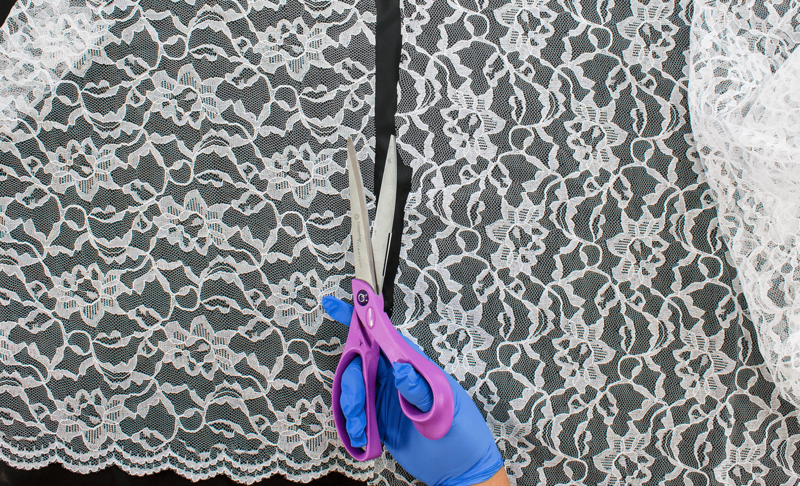 Trim the pointy edges from the lace bowl with scissors.